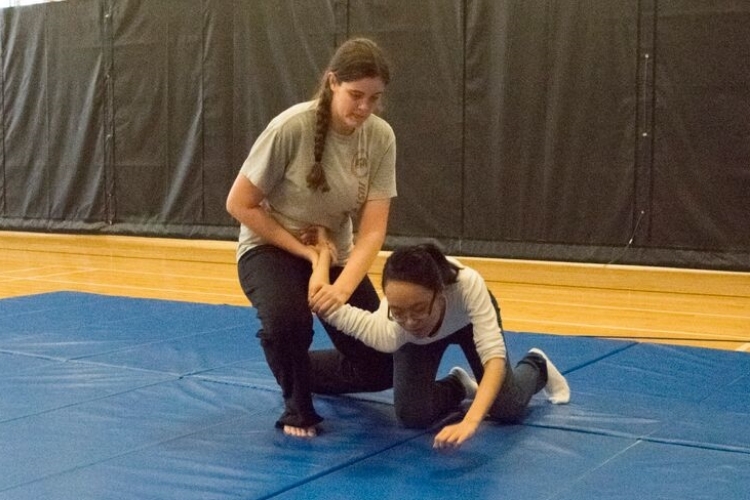 A mathematics professor at The W has decided to share her martial arts knowledge with students. 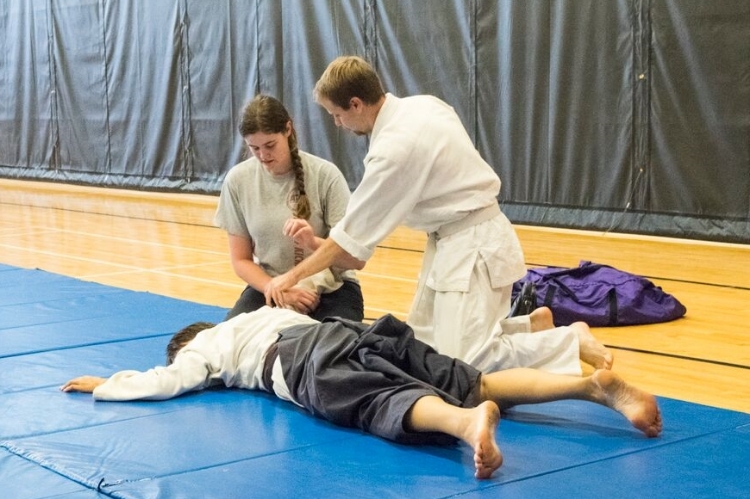 On Tuesdays from 6-8 p.m. and Thursdays from 2-4 p.m., students can participate in the aikido club in Pohl gymnasium. Aikido is a Japanese martial art that focuses primarily on redirecting momentum into falls and rolls. Dr. Susan Ficken teaches intermediate algebra, pre-calculus and modern algebra. She has also been practicing aikido since 2006 and encourages everyone to try it at least once. "Just come. Try it out. It's not really a class. It's more of, you know, a club. You show up when you've got time," said Ficken. According to Ficken, aikido is a great de-stressor, as well as a more interesting way to exercise. "Riding a bike and running on a treadmill are really monotonous. This is active. You're engaging your mind as well as your body, having to think about what somebody else is doing and think about what you're doing, a bit more than just pedaling on a bike or running on a treadmill," said Ryder Williams, student. One of Ficken's goals is to have the aikido club recognized by The W as an official club.l For a club to be recognized, it has to have at least five regular members. The aikido club has four. "It usually takes time to build momentum with something liek this," said Ficken. One of Ficken's newer students, Ashley Morgan, enjoyed the social aspect of the club, as well as the uniqueness of the martial art itself. "Most other martial arts, you move in straight lines, like angular," said Morgan. The aikido club is a unique way to stay active and make new friends at The W. Ficken encouraged anyone who is interested to attend a club meeting.